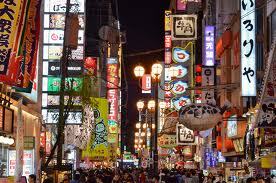 Osaka, Japan – For my 14th city installment of my worldwide open mic guide today I am loading my Japan page. As a reminder, it all started with my now very popular Thumbnail Guide to Paris Open Mics, Jam Sessions and other Live Music, and due to that guide’s success, I decided this year to do a similar guide for each of the cities I travel to during my worldwide open mic tour. I have decided to make Japan one of the exceptions on in my Worldwide Thumbnail Guide of open mics in that I will not focus only on one city, and I will name this after the country itself. I did the same with Monaco, when you think about it – and added Nice to that one – and I also did the same with Bahrain, as I only spoke of open mics in Manama, the capital city, but called it after the country. The point in Japan is that I have no single city with a wealth of open mics and open jams to list here, but I do have experience with three different cities in Japan, and they happen to be the three biggest cities: Tokyo, Osaka and Nagoya. It seems to me, therefore, that it will serve the reader much better if I do a guide with my findings for all of these cities, rather than just listing Nagoya, which is where I have spent the most time. So it is that I am going to list my findings in the three biggest cities in Japan, and hope that makes the page worthwhile for travelers to Japan. UPDATE, 30 OCT. 2013: I noticed that unlike all my other open mic guides, the Japan guide was not receiving much traffic, and so I decided that I had made an error to change the system, and I have now today made three separate guides for Japan: a Thumbnail Open Mic Guide to Osaka, Thumbnail Open Mic Guide to Tokyo, Thumbnail Open Mic Guide to Nagoya. People search by city, not by country. So that is the end of that experiment – and please note the link at the beginning and end of this page will not work, as I got rid of the country guide all together. 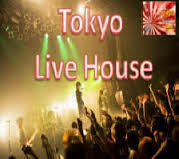 The first thing to keep in mind when coming to Japan and looking for places to play music, is that while there are such things called open mics, there is another phenomenon that you must know about, and that is the ubiquitous “Live House.” Live Houses come in various forms, but generally what they are are bars with live music, or music venues that people can rent out by the time clock for a fee and then invite people to come and hear…and pay back the rental fee in their spendings. But Live Houses can also be places that hold open mics and open jams of the kind I focus on with my list. So aside from my limited list, the place to start looking for places to play in Japan is a Live House. Just find one, then see how they operate. They may have an open mic or an open jam – or you may want to rent the room for your half hour or so slot. So here, now, in any case is the Thumbnail Guide to Japan Open Mics, Jam Sessions and other Live Music. Please do help me whenever you have information to give me on venues. Last night in Shibuya at the Ruby Room open mic in Tokyo more than made up for all the missed opportunities and frustrations of previous evenings in my open mic searches. It was a multidimensional evening of interest, fun and – today – fatigue. One of the most amazing and amusing things to happen was that it turned out that I was not alone as a person from the Paris open mics to show up at the Ruby Room last night. A band from Paris that has taken part in many of the open mics that I do in Paris has come to Japan to play gigs and develop music and live an adventure here for three months, and they showed up at the Ruby Room last night. That was the band called One Bourbon One Beer. They are a very cool blues, pop indie kind of band that met at the Pop ‘In open mic in Paris and got together to make their history. I had played at the Ruby Room two years ago, and some how like a homing pigeon I managed to get off the Shibuya station metro last night and walk straight to the club amidst the bright lights, signs in Japanese, curling sidestreets, large neon movie, store, club and other morass of a city scape. I loved this open mic two years ago because it was a beautiful small room on a small street with a good ambience, neat bar, cool stage and sofas, little tables spotted about, including a separate kind of covered table off to the side. Something about the ambience of the place had reminded me two years ago of the Truskel bar in Paris, and so it was pretty amazing to meet up with One Bourbon One Beer, who it turns out, also were on the same flight as me from Paris to Japan last week! The other thing that is cool about the Ruby Room is the mixture of Japanese and Westerners. There were Brits, New Zealanders, Americans, everything. And the Japanese. In fact, before One Bourbon One Beer showed up and as I waited on the staircase outside for the doors to open and the sign-up to begin, I struck up a conversation with the leader of what would turn out to be the coolest Japanese band of the evening, a band called D.O.G.S. Koji, the leader, spoke perfect English, thanks to his former girlfriend from Canada. D.O.G.S., it turned out, are going on a tour of Seattle in about 10 days, and they showed up at the Ruby Room to warm up in front of an audience before they leave for the United States. So I interviewed Koji for my open mic film, and then later interviewed One Bourbon, One Beer. I mean, what a wonderful example of the open mic zeitgeist: This young band from Paris travels to Japan to learn its chops in a different culture, while this young band from Japan – same age basically – travels to the U.S. to learn its chops – actually both bands have a little tour organized – and here they are both showing up at the same open mic in Tokyo…. But my thing went over well, and I felt in good shape. I thoroughly enjoyed it, got the crowd clapping along – well, no, they just did it – and the evening was immensely wonderful. I just had to forfeit sleep as I travelled today to Seoul, South Korea, from Tokyo…. Thibault Delacour. The drummer did not come on the trip.